Jypyä Pop (Turku, Finland) on 5 December 2018 in Documentary & Street and Portfolio. Everyone going his own way. Good title and fantastic captured in the photo. haaa oui bien rendu le titre ! Nice capture of the busy street. Nice capture of the season's hustle and bustle. 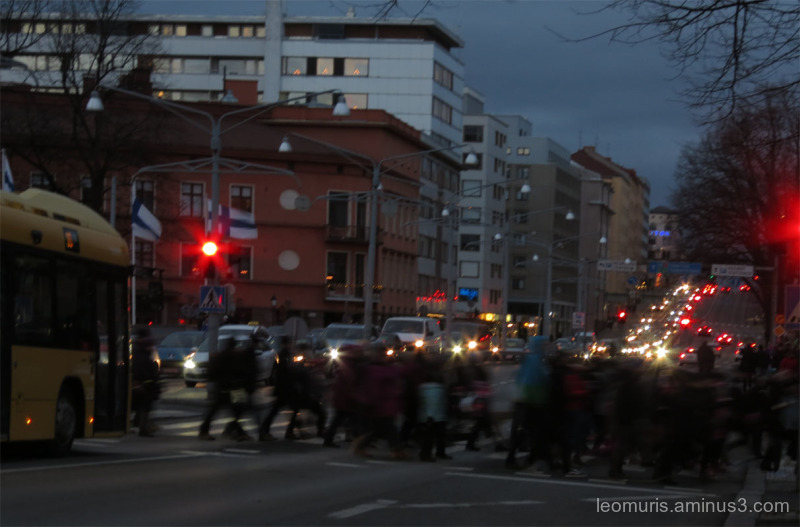 Great pedestrian action accompanied by the twinkling lights! Oui... super titre pour un joli cliché. Maybe you should hurry or you'll miss something. Interesting scene. Superb effect light and colors ! It gets dark early for you now, everyone must be hurrying home. Does look worth following ! Quite a hustle and bustle in the city. A nice evening shot.